Patients with non-urologic cancers were three times as likely to commit suicide. Patients with urologic cancers of any type were four to five times as likely to commit suicide. Patients with bladder or prostate cancers were about five times as likely to commit suicide. Now we do need to make sure that we see these numbers in context. They mean that roughly 0.05 percent of men in the UK diagnosed with a urologic malignancy actually commit suicide. However, they also mean that nearly 0.4 percent try to. 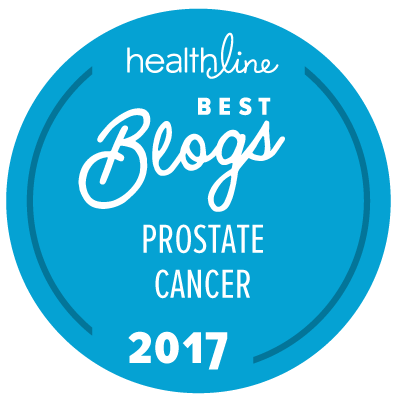 Most patients will have a clear understanding of the distress and anxieties that a disorder like prostate cancer can induce. Many of us can learn to deal with that distress and anxiety — but for others it can become extremely difficult or nearly impossible. The average (median) time from diagnosis to suicide for patients with prostate cancer was 846 days (about 28 months). Key factors related to prostate cancer and risk for suicide may also be the nature of the patient’s diagnosis; a prior history of mental instability, depression, etc. ; and whether the patient lives on his own — although the data presented by Afshar et al. do not (apparently) get into these details. Were there controls for ethnicity, age, and socio-economic status? You fail to comment on other causes of suicide. My prostate cancer has spread to my liver. I have uncontrollable bouts of nausea … often all day. Every morning after I arise from bed, and within 15 minutes have uncontrollable dry heaves and retching for 5 minutes or so. Sometimes, I will just have uncontrolled retching and vomiting in the middle of the day, for no apparent reason. The doctors look at me like I have two heads and shrug their shoulders. Absolutely agreed that the nature of the diagnosis is critical. To take it one stage further, how many of the men attempting suicide were on ADT? I have no idea. All I have to go on is the report provided in the link. The abstract of the presentation is not publicly accessible. However, this was not a clinical trial. It was a database analysis, so any “controls” would have been retrospective in nature and therefore profoundly susceptible to investigator bias. What about a subcategory of men who have advanced cancer because their physicians withheld screening (or convinced them it wasn’t necessary)? It is extremely difficult to live with a terminal diagnosis for a cancer that could have been cured. I think we need to be clear that there are probably dozens of definable reasons why a specific individual who is living with prostate cancer might consider suicide or actually carry it out — inclusive of reasons that actually have nothing to do with their prostate cancer at all. @Sitemaster: This is very close to my heart. Where do you suggest I look/ask for the data. @Barb suggests one mechanism (although I am dubious of the word “cured”) but clearly another is morbidities of treatment. I am minded to point out to my doctors that [suicide due to] the latter is a risk. I admit that 0.03% is minute but as you say it is the tip of an iceberg. I would love data. First important observation, and I promise I will not live-blog here, is that Mehran Afshar is a medical oncologist as opposed to shall we say another discipline. “The observation suggested that some cancer patients are more vulnerable at certain time points, said Afshar.” I sniff a prior but let’s see. (1) I would be 95% certain that Dr. Ashtar and his colleagues will be publishing these data at some point in the not too distant future, so my first suggestion would be that you contact him and ask when he hopes to publish these data. (2) If the information was presented as a poster or as a slide presentation at the EAU he may be willing to share a copy of the poster or of his slides with you now (but bear in mind that such a poster or slide presentation has not been peer reviewed). (3) Once you have the base data, Dr. Ashtar might be willing to discuss any further questions you may have. You might like to watch this interview with Dr. Ashtar if you haven’t already seen it. BTW, Dr. Ashtar is apparently not a medical oncologist (see here). It appears that he is a uro-oncologist or urologic oncologist, implying that he trained first as a urologist and then subspecialized in management of urologic cancers. Thanks as always, @sitemaster. Some of the data is actually behind that Researchgate link. BBTW, I have found “Dr Mehran Afshar, Specialist Registrar in Medical Oncology, St James’s Institute of Oncology, Leeds” as contributor to a 2014 book. So I still sense someone who is encouraging a more holistic view. A kindred spirit, if you like. Good luck to him; I left St George’s exactly because I found the opposite. I certainly plan to get in touch. Have your doctors given you anti-emetic medication? I have had family members who benefited from that medicine.